I'm not sure if the two belong in the same set (doubt it). But they go together since the teal ship is supposed to fling its plungers to the purple guy's target which activates a spring and launches him out of his ship (and consequently turns off the motor). The purple guy moves around on top of the rubber wheel, which has unfortunately broke. The purple ship takes a 9V battery which powers the motor. I've included a closeup and as you can see the pieces connecting the electronic parts has metal contacts. 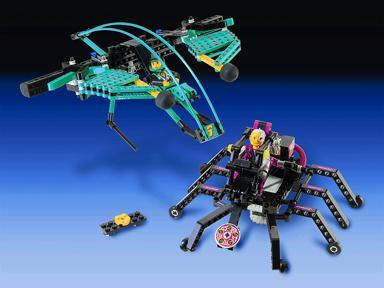 This is set 3038/8266 Super Slayer/Super Challenge, based on the occurrence of the Technic Figure in Turquoise. 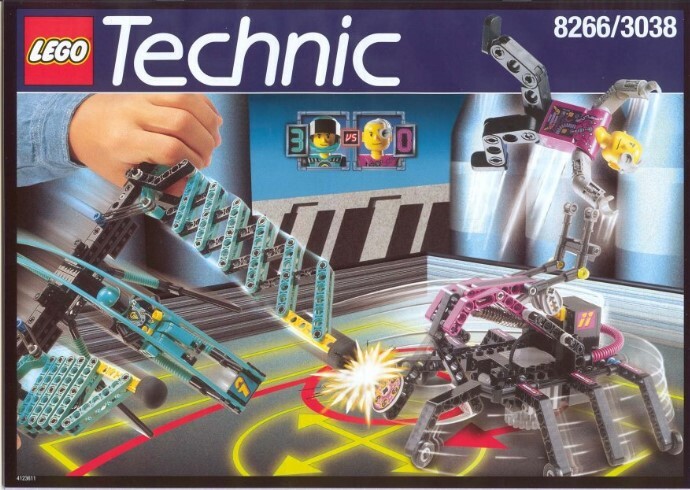 What are these Technic “Zapfen” (“stoppers”) called in English? 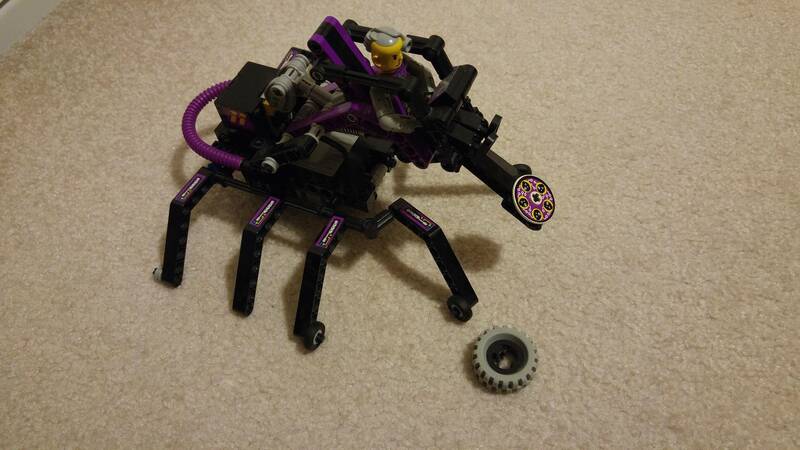 Are there any LEGO sets that have these two parts? 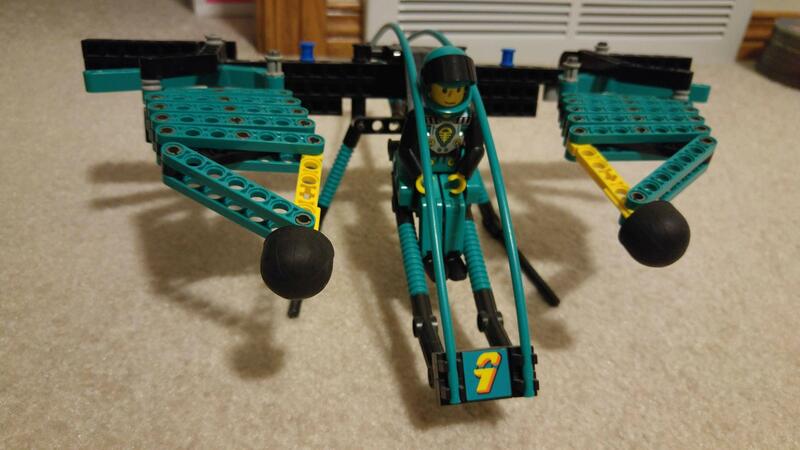 Which sets are these parts from?